The state of New York has challenged the EPA’s designation of the site and is seeking to have it overturned by a federal district court in New York. The EPA’s decision was made after more than four years of study and review and input from the public, and was supported by the Connecticut Department of Energy and Environmental Protection. 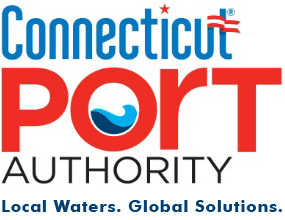 The Port Authority plans to argue that the disposal of approved dredge material is vital to ensuring that waters remain open for commercial shippers and recreational boaters. Routine, predictable dredging of ports and harbors helps maintain the health of our maritime economy and our ecosystem. Dredging materials have been used to nourish beaches and undo damage caused by strong storms, weather patterns, and other forces. Dredged materials are comprised mostly of silty, fine-grained sand—not contaminants. These sediments are tested for quality as part of state and federal permitting process and no sediments that fail to meet these standards are deposited at disposal sites. The port authority has asked the Honorable U.S. District Judge Edward Korman for permission to file an amicus brief in the case known as Rosado v. Pruitt, Case No. 17-cv-04843. Click here for a copy of the filing request.